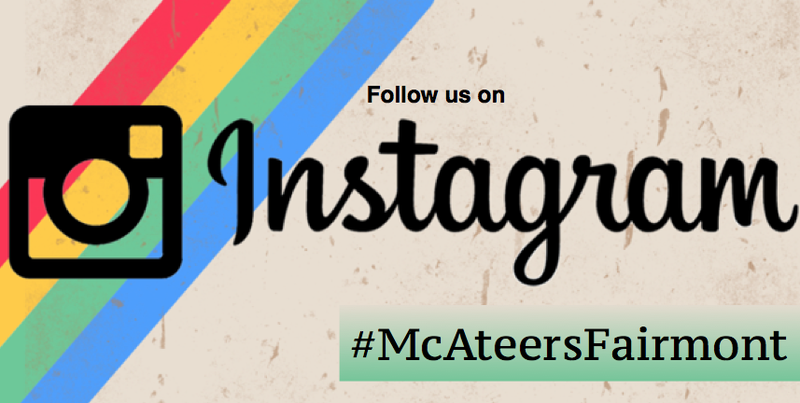 Happy Holidays to all from the McAteer's friends and family! Welcome back Fairmont State University students and faculty! Hope you had a great Summer break (we did) and looking forward to seeing you in McAteer's just across the street on Locust Avenue soon! 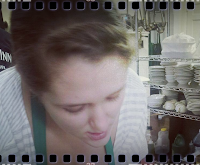 Be sure to logon our facebook/twitter and website for specials, events and happenings and we look forward to serving you a home made meal! 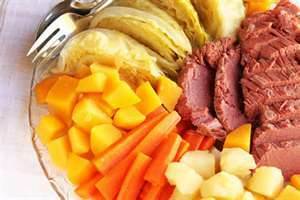 Join us for our Annual Traditional IRISH MEAL MONDAY MARCH 18TH @McAteer's! 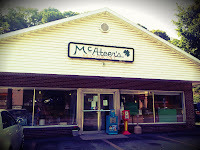 We are hosting our famous St. Patrick's Celebration with home made authentic corn beef and cabbage, potato and roll as we give you a taste of Ireland, (just for a day) at McAteer's. This IS OUR BIGGEST EVENT OF THE YEAR, so make your plans now to join us for this special day. 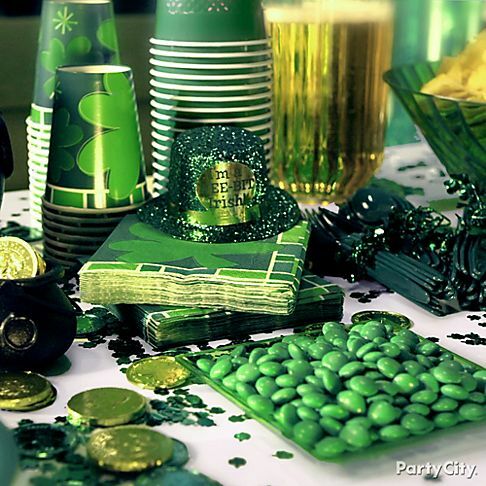 Break out your best green outfits, start the week out right and join us as we will be serving this meal starting at 10am until its all gone so get here early. 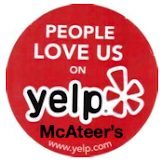 Thanks to our loyal McAteer customers for your photos! 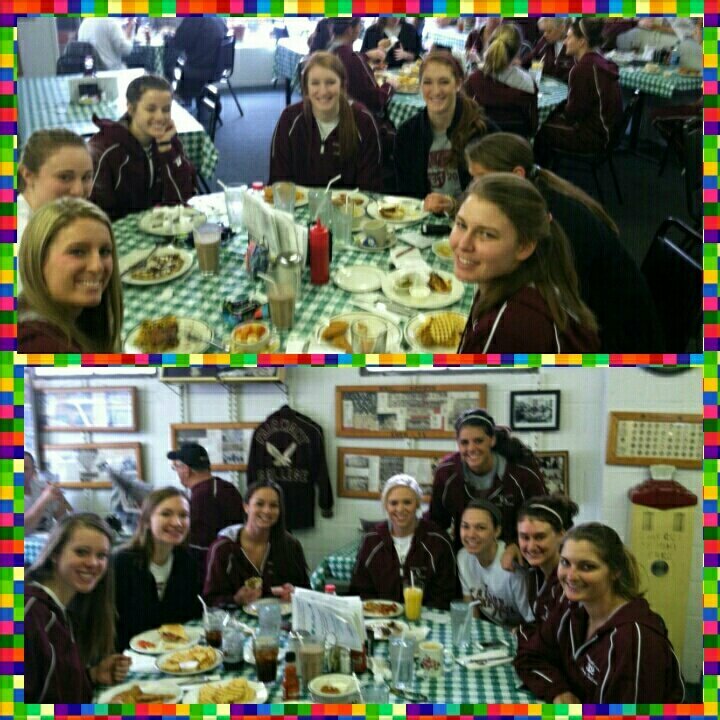 The FSU Softball Team fueling up! 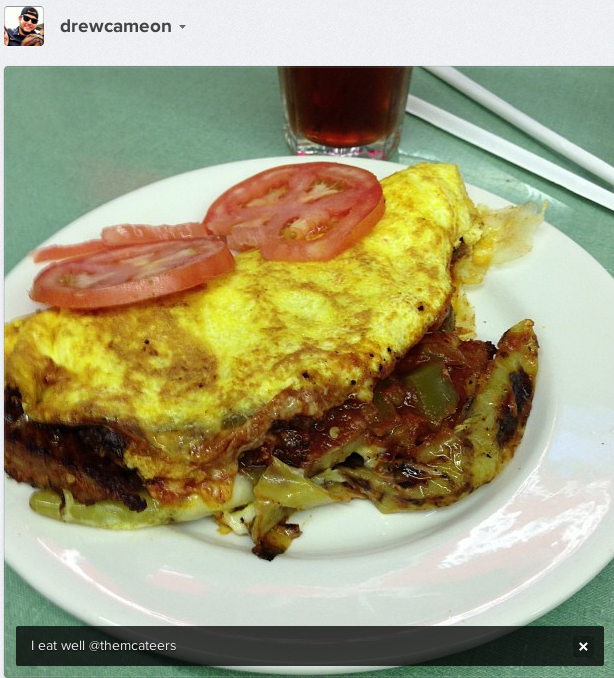 Thanks Drew from out Twitter account, great shot of breakfast! 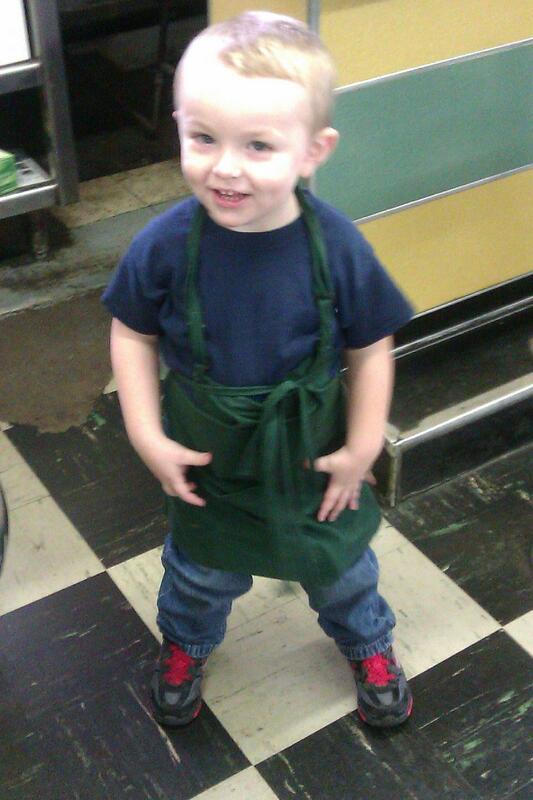 One train them young at McAteer's! Just kidding! 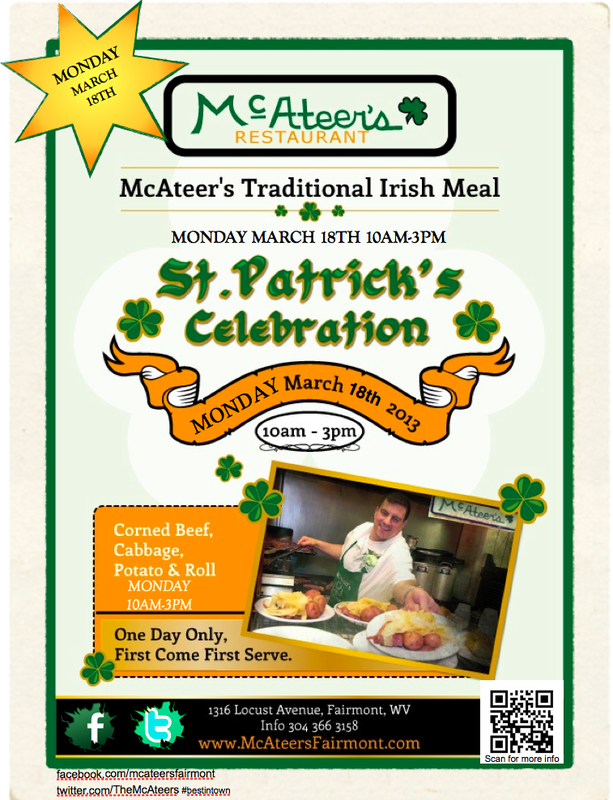 Stay tuned for our 2013 St. Patrick's Meal at McAteer's. Details announced soon! 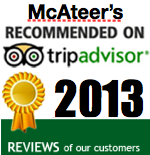 Thanks for the Reviews on Facebook/Trip Advisor and Yelp for McAteer's in Fairmont! Click here to read them all and we will see you soon. Thanks for the online support! I just moved to Fairmont recently. 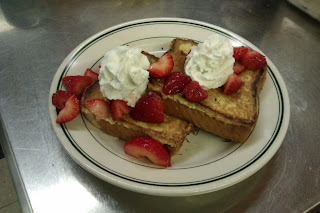 This morning was my first time eating at this restaurant, and it was the best breakfast I have ever had. 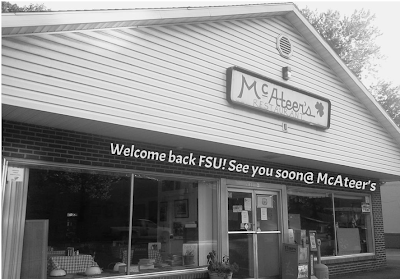 McAteers is always delicious and always has a friendly atmosphere! 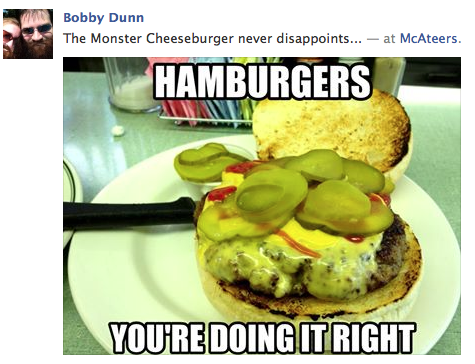 Awesome food! Great coffee! and the only Free WiFi in Town!!!!! McAteers makes the best breakfast in North Central WV! Always cooked to perfection, great servers, and small-town friendliness. Can't recommend going here highly enough. Tim is such an awesome cook! Love Breakfast and Lunch here! 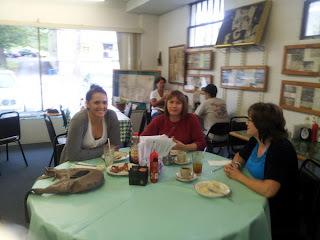 Yummy food and great atmosphere. 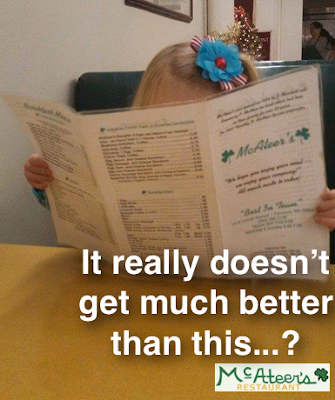 Food is great and it has a "Cheers" atmosphere. They know who you are and you are always welcome. McAteer's Fairmont on your smartphone-Just scan to stay in touch! 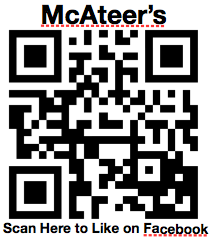 Scan this QR code to LIKE McAteer's through your smartphone app. We have a ton of events and discounts coming up this spring and this is the best way to stay in touch directly to facebook and online! We look forward to seeing you soon!